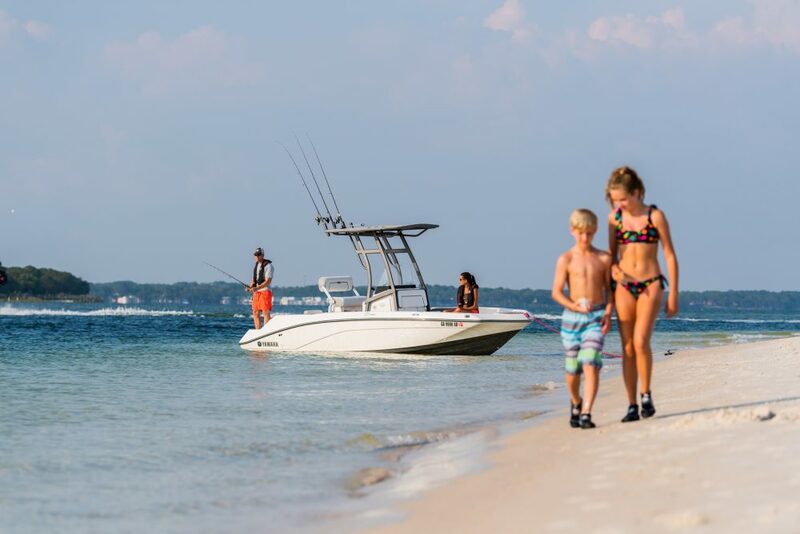 2019 Century 3200 Center Console with twin Suzuki DF350 (dual propeller) 4-strokes. Fully loaded boat with side door. ABSOLUTELY THE BEST VALUE IN IT'S CLASS! Huge standard feature list including dual fuel fills, diaphragm pumps on fish boxes (instead of less reliable macerator's), SS friction hinges on hatches, stem mounted stainless anchor with windlass, electric head with overboard discharge, 62 gallon 2-pump livewell system, and the best fit and finish in the industry. 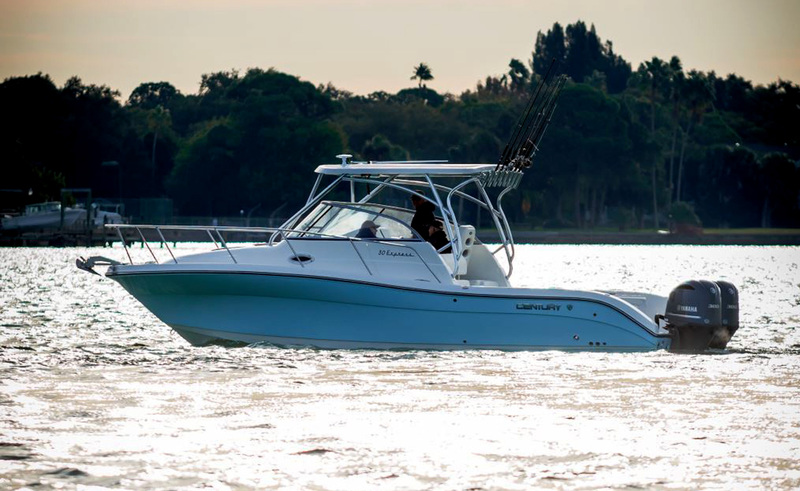 Compare to other builders such as Robalo, Cobia, and Mako and see why Century has become the boat of choice for demanding boat owners. Make an appointment to see this Century 3200 today. We are open every day including Sunday's. 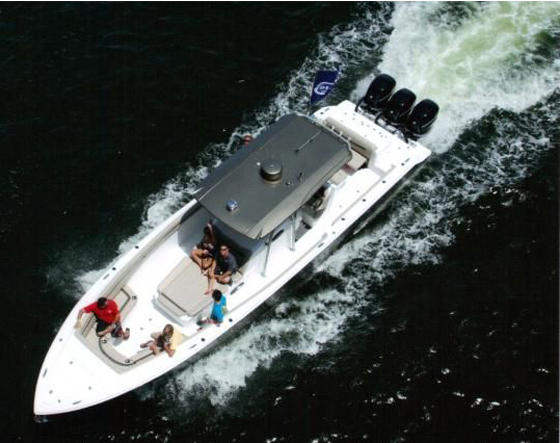 The 3200 CC is loaded with performance fishing features designed for tournament and pleasure anglers alike – plus plenty of luxury and safety amenities for entertaining. 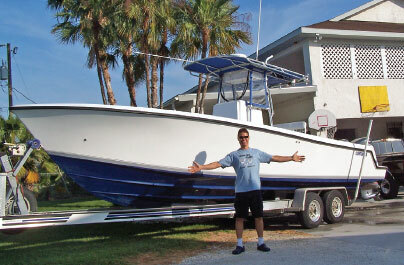 Fishing accessories include an oversized livewell, lockable rod storage and large fishboxes forward and aft. For your guests, the 3200 CC offers an enclosed head, forward-facing bow seating and a standard bow entertainment table that creates a true social center. • Cast of accessories includes an oversized 62-gallon baitwell, lockable rod storage, tilt-out tackle trays and two 277 quart fish boxes, the largest in its class. • Wide open fishing deck is surrounded with ample storage, four forward fish boxes and a 62-gallon, 2-pump baitwell system. 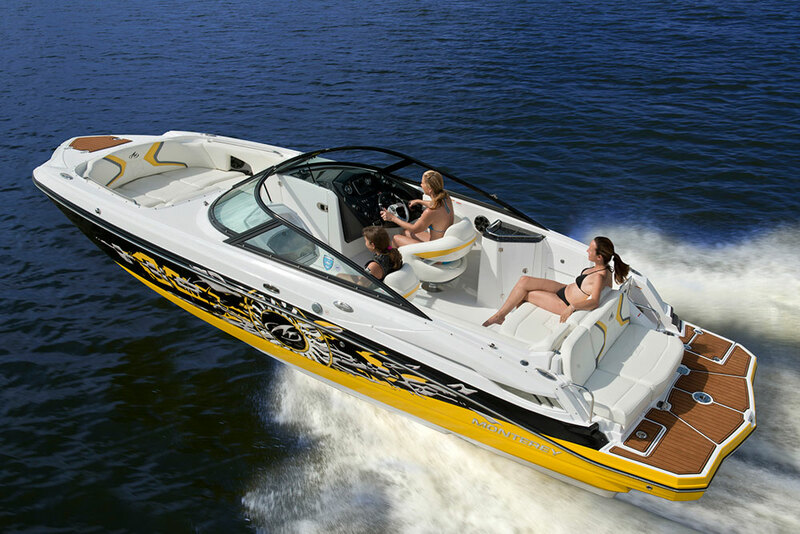 • List of amenities continues with six gunwale rod holders, enclosed electric head, standard entertainment table and superior Yamaha power.